What does this look like to you? 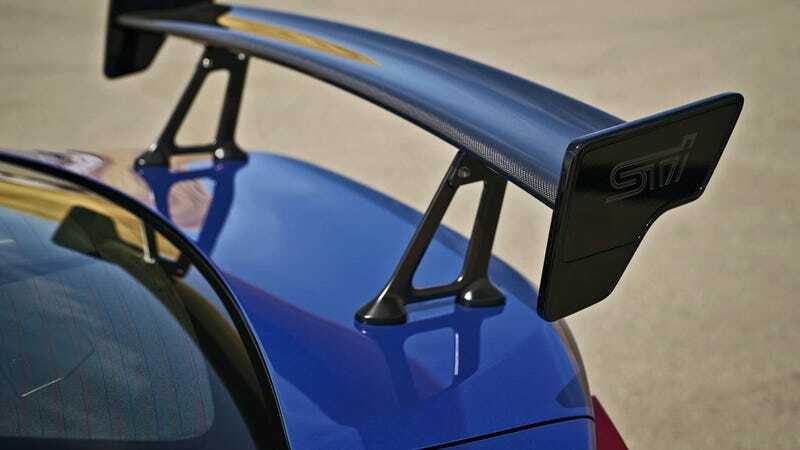 This looks like a massive STI wing on a the trunk of a Subaru BRZ to me. Could this be real? Is it the real, really real deal? Or is it just cosmetics? What is the truth? As you can see from Subaru’s Twitter profile picture, it’s celebrating its 50th Anniversary. We heard that a BRZ STI wasn’t happening a few years ago. That’s likely no longer the case. Subaru finally did it. Maybe. They actually went and did it. Possibly. But will they do it again? Who cares, it’s here now. Probably.